*Samsung Electronics (UK) Ltd. UK, excluding Northern Ireland & ROI. 18+. See www.samsung.com/uk/offer/samsungpaygiveaway/ for full T&Cs. 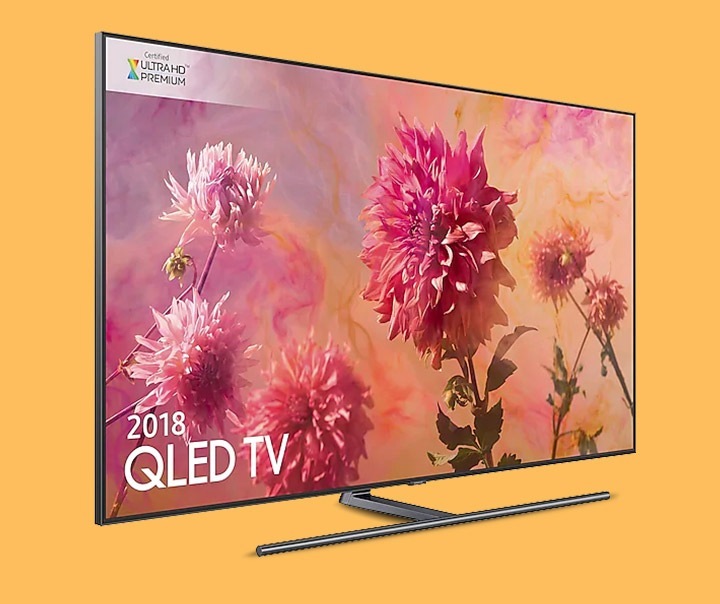 Enter now and use Samsung Pay 5 times by 03/05/19 for a chance to win amazing prizes like a 55" 2018 Q9F QLED 4K TV. With Samsung Pay, you can shop using your Galaxy smartphone virtually anywhere† contactless is accepted. Samsung Pay lets you make purchases above the £30 contactless limit in shops across the UK*. Samsung Pay lets you carry your credit, debit and loyalty cards on your device1. Add your qualifying MasterCard® or Visa card issued by our partner banks and building society. Samsung Pay currently supports these partners and there are more on the way. With Samsung Pay, each transaction is covered by your bank’s fraud protection and authenticated by intelligence scan4, iris scan5, fingerprint or PIN number. Plus, tokenisation adds an extra layer of security. 4 Available on Samsung Galaxy Note9. 5 Available on Samsung Galaxy S9+, S9, S8, S8+ and Note8. Pay confidently from your phone, knowing that the same fraud protection your bank gives your credit and debit cards carries over to Samsung Pay. Every transaction is authenticated by intelligence scan, iris scan, fingerprint or PIN number. If your phone is lost or stolen, you can remotely lock or erase your Samsung Pay account with Find My Mobile. Tokenisation creates a unique randomised set of numbers to be used at each new transaction, so your real card number is never used from your phone. Samsung Knox technology constantly monitors your phone to keep your information safe. Your card information is encrypted in a separate and secure data vault at all times. Download it from the Samsung Galaxy Apps store. Then, sign in to your Samsung account. Scan your fingerprint or iris and enter a pin, so you can authenticate future purchases. Snap a picture of your card and complete details where necessary. Head over to your favourite shop and see how easy it is to check out. † Available with participating networks, banks and merchants on selected devices, on NFC terminals. A limit of £30 may apply, based on merchant policies. 1 Available with participating networks, banks and merchants on selected devices, on NFC terminals. 2 Subject to shop policies. 3 Compatible with London buses, the Tube, London Trams, DLR, London Overground, TfL Rail, Emirates Air Line, River Bus and most National Rail services in London. 4 Available on Samsung Galaxy S10e, S10, S10+, S9+, S9, S8, S8+ and Note8. * Subject to merchant policies. ** Available on Samsung Galaxy S6 and S6 edge devices which have the Android Nougat 7.0 software update. *** Android software and Galaxy App store updates are required.